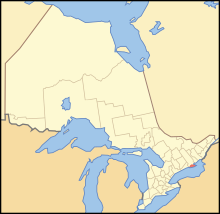 The section of York County north of Metro Toronto eventually became the Regional Municipality of York, and York County was dissolved. These were dissolved in 1967 into the townships, which became boroughs. ^ a b c d e f g h i j k l m n o p q r s t u v w x y z aa ab ac ad ae af ag ah ai aj ak al am an ao ap aq ar as at au av aw "GeologyOntario - Geographic Townships of Northern Ontario". Ontario Ministry of Northern Development and Mines. 1993. Archived from the original on 2011-07-07. Retrieved 2013-04-01. ^ a b c d e f g h i j k l m n o p q r s t u v w x y z aa ab ac ad ae af ag ah ai aj ak al am an ao ap aq ar as at au av "Ontario GenWeb - Search by Area". Ontario GenWeb (RootsWeb.com). 1999. Retrieved 2013-04-01. ^ "Sudbury District GenWeb". Ontario GenWeb (RootsWeb.com). 1999. Retrieved 2013-04-01.